Verizon takes an OATH: the death of AOL and YAHOO! Two of the Internet’s oldest and most well known names, Yahoo! and AOL, will soon cease to exist. With their purchases by Verizon, both companies will be merged into something called OATH. While it remains to be seen just how well the combined company will do, one is for certain, neither company is anything like the companies we knew and loved or loathed, back in their heyday. Yahoo! was THE search site. Period. It was the Google of the late nineties and very early double-aughts. If you needed to find something, you went to Yahoo!. I used Excite, a lot, but, like today and Bing, I found myself always using Yahoo! Then, at some point, it became Yahoo! Powered by Google. What? What’s this ‘google’? I know it is a very big number that Carl Sagan used to talk about…but, what’s this ‘powered by google’? So, I used Yahoo! to search for google. The aforementioned number was the top choice, then…Google.com. I click the link and…viola! This empty page, except for the search bar and ‘google’ popped up. Well, it looks like Yahoo! has company. I eventually gravitated to Google for my searches. Excite went belly up, as did most of the other search engines. But, Yahoo! and Google were there. Oh, this ‘MSN Search’ thing too…it eventually became useful and its name changed to Bing!, but that was years later. Yahoo! lingered on…buying up hot properties in a desperate attempt to remain relevant, but…to no avail. It became relegated to a collection of has-been properties, a few of which are still regarded in some fashion. Only a few short years ago, Yahoo! was worth tens of billions of dollars. Microsoft offered something like thirty billion to buy them, but then-CEO Jerry Yang figured that he could get ‘a better deal’ and held out. He didn’t. He lost his title. Marissa Mayer was brought in to right the ship…she couldn’t either. Verizon got it for a tenth of what Microsoft had offered, not even a decade ago. I won’t even talk about the lack of security. Yikes. What can I say? I loved AOL. I joined in 1992. It was my favorite past time, well, other than a certain type of human interaction, that is. Wow, just think, I could click a button, this loud, screaching sound came out of somewhere and, in a minute, I was ONLINE! I had all kinds of things to do…look stuff up, download pictures, software, source code, short video clips…man, that was cool. Sure, it took a LONG time to download files that, today, are smaller than most images on a web page, but, this was the early 1990’s and the Internet was new and not widely available. Bulletin boards were the hot things and these ‘chat rooms’ on AOL…yeah, those were cool. Perhaps the ability to share my knowledge with anyone was my favorite thing to do ‘online’. I had written several demos and applications in this Visual Basic for DOS thing that was, for a few days, HOT. Yep, HOT. At least in the VB ‘room’ on AOL. My demos and app were downloaded were downloaded…what, a dozen times. Wow. 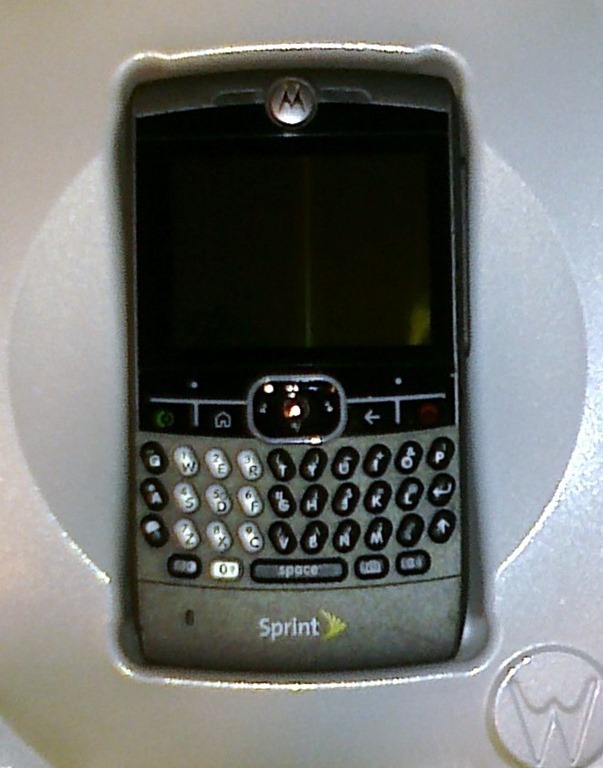 There was one demo, a phone dialer, that was downloaded about fifty times…I thought I was IT. Yep, fifty times. How freaking cool? Well, as time went on, this Internet thing got big. REALLY BIG. And so did AOL. AOL WAS THE INTERNET. For many, many people. Think about that. By 2005, AOL was dead. At least, to most they were. The company was still doing OK. It eventually spun off from Time Warner. It became a collection of popular blogs and, believe it or not, they still had a sizable dial up customer base. However, it wasn’t enough. And, now, they will be called Oath. Admittedly, there’s a certain nostalgia surrounding both companies. That sound from-whatever-when you logged into AOL. The anticipatory ‘You’ve got mail’. The excitement when the AOL home screen popped up (and, boy, that original DOS AOL client was both beautiful and cool) and, later on, the AOL Browser. Yahoo! on AOL. You know, now that I think of it, I kind of miss that sound from whatever and that anticipatory ‘You’ve got mail.’ Only kind of, though. A few short years ago, a product came on the market that I got excited about. 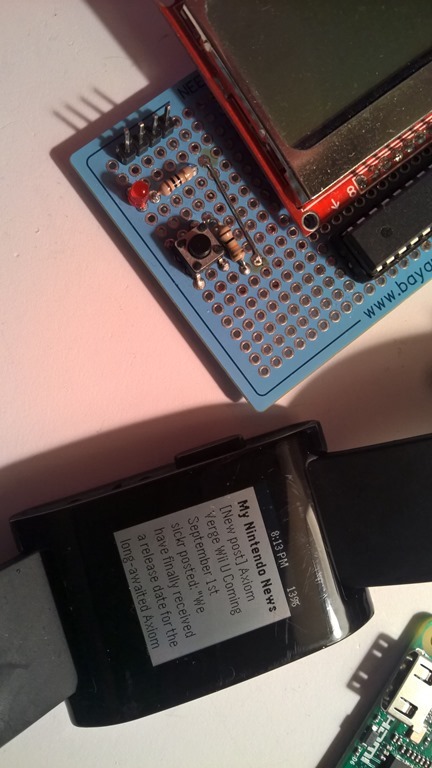 The product utilized ePaper, could go a week between charges and was programmable. Better yet, it was ‘crowd funded.’ The product took off, initially, and raised a lot of money from Kickstarter. That product, the Pebble Smartwatch, was a successful kickstarter project, probably the most successful of any from that site. Last year, I finally got one. I like it a lot. The problem, though, was my smartphone. 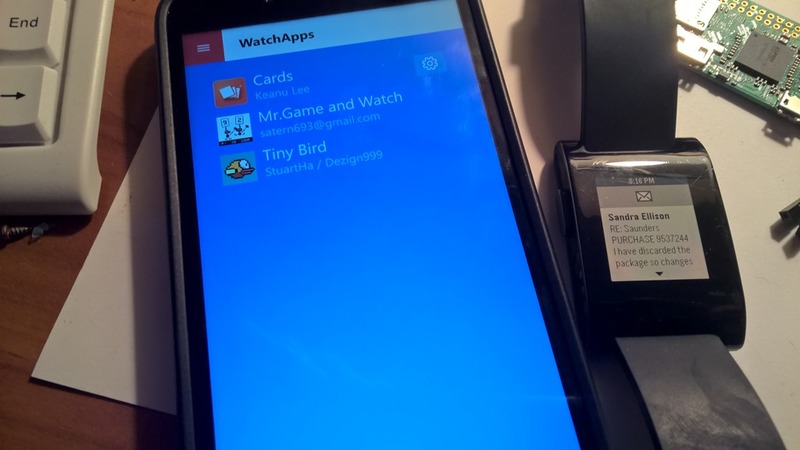 I use a Windows Mobile 10 device and there is no official app from Pebble. 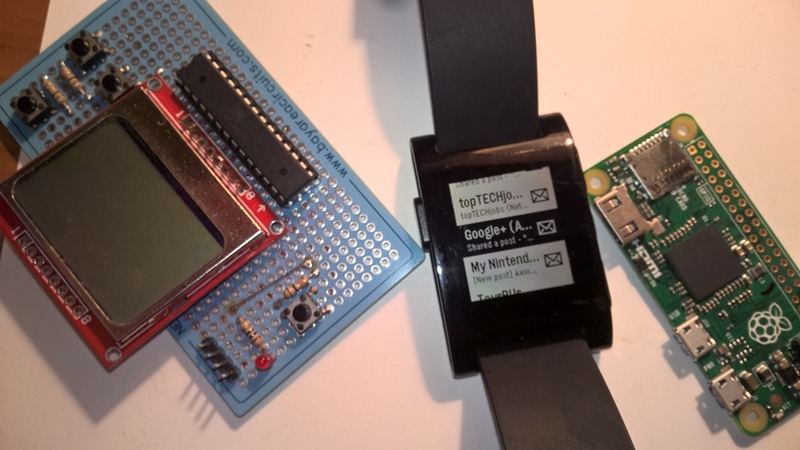 Eventually, someone developed a nice Pebble watch app for my favorite smartphone operating system. For the last few months, I’ve been very happy with this setup: I see my notifications, calls, email, etc. on my watch, I don’t need to pull the phone out. Great. The app even works with some of the back end plumbing from Pebble. Nice. I get weather and some other things. Very cool. Last week (December of 2016) I see a rumor that Fitbit was purchasing Pebble. I think, GREAT! My favorite smartwatch will get a much needed boost from an established company, that is also Windows Mobile friendly. Awesome. I may even get the new Pebble 2! How sweet is that? Turns out, it is bitter. Fitbit did, in fact, buy Pebble. BUT…they only bought the services and software, NOT the hardware. So, Pebble is now history. There is no word on when the services will cease. The watch will still work with phones, but the stuff that made it special, the heart of Pebble, will be going away. No more new watches. Fitbit did not want the hardware. Nor did they want about sixty percent of the employees either. I now have one more piece of hardware that is orphaned. Man, my ability to choose platforms is horrible. Zune, Windows Phone/Mobile, Palm OS, webOS for Palm, Vista, Windows 8, CED Video Disc, LaserDisk, HD-DVD, Pontiac…and, now…Pebble. Wow. What a record, huh? So, RIP, Pebble. It was nice while it lasted. Apple had its September press event to announce Apple Watch, Series 2, iOS 10 and iPhone 7. But, perhaps the biggest thing announced at the event was a game. Early on in the event, Tim Cook said that there were over 500,000 games in the app store, but that one had been missing. Rather, one character had been missing…MARIO. And, with that, he introduced Shigeru Miyamoto, the creator of Mario. Mr. Miyamoto explained the new game while a demo was being played on the big screen. This Mario game looks and sounds like a Wii U game, but is controlled via touch on the iPhone or iPad. You use a single finger to control Mario’s jumps…the longer you hold your finger down, the higher he jumps. While the game looked great, the game play is like a neutered Super Mario Brothers 2D side scroller. Neutered in that it appeared that Mario only goes in one direction in single hand play. The goal is to collect as many coins as you can and raise the end of level flag, before the time runs out. More importantly, the game will NOT be a ‘freemium’ game in the traditional sense. You only pay one time, there are no in game purchases. There’s no having to wait two hours for your lives to replenish. It is a nice change from the current game mobile game model. Now, for the other announcements, and I’m not going into detail as it has already been covered else where. Apple Watch 2 will be out in September and will be faster and more responsive. Oh, and Pokemon GO! is coming to the Apple Watch. With some health monitoring additions, this looks pretty decent. iPhone 7, though, is what I am more excited to talk about. 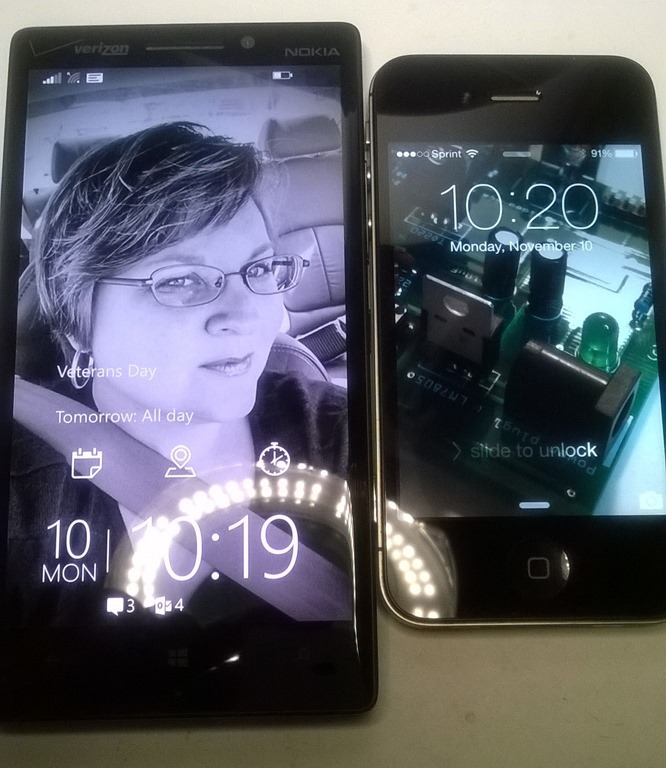 Now, before I go on, let me say that I am still not an Apple fan and I LOVE my Windows Mobile 10 phone(s). So, what has me excited about the iPhone 7? Well, even though it isn’t a huge, earth shattering advance in mobile technology, the camera, faster processor and MICROSOFT have me excited for the new iPhone. The iPhone 7 will feature a new image sub system, new API’s and better optics. In addition, iPhone 7Plus, the phablet edition, will feature TWO 12 mp cameras in addition to the front camera. 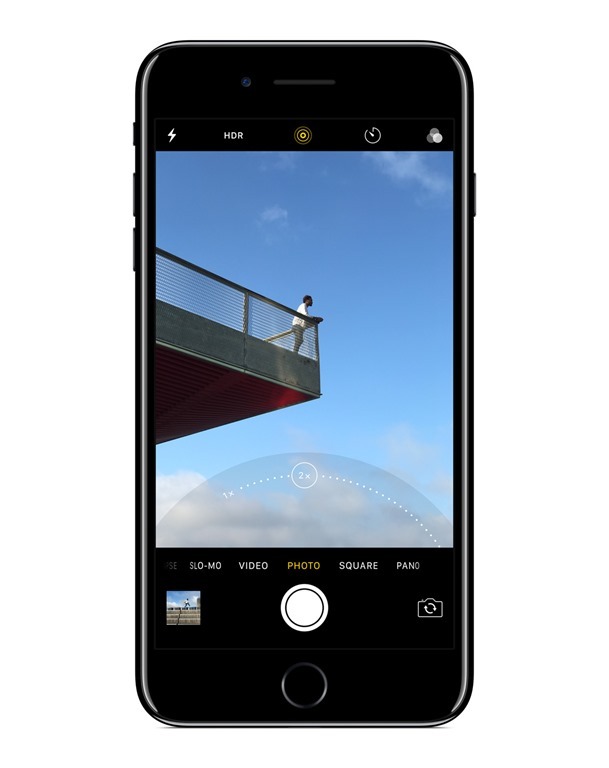 The new image processor enables the phone to record in 4K video as well. I n addition to the photo features, Microsoft’s entire suite of apps that are on the iPhone mean that I can continue using my Microsoft services and apps with my Windows 10 desktop just as seamlessly as I can, now, with my Windows Mobile phone. 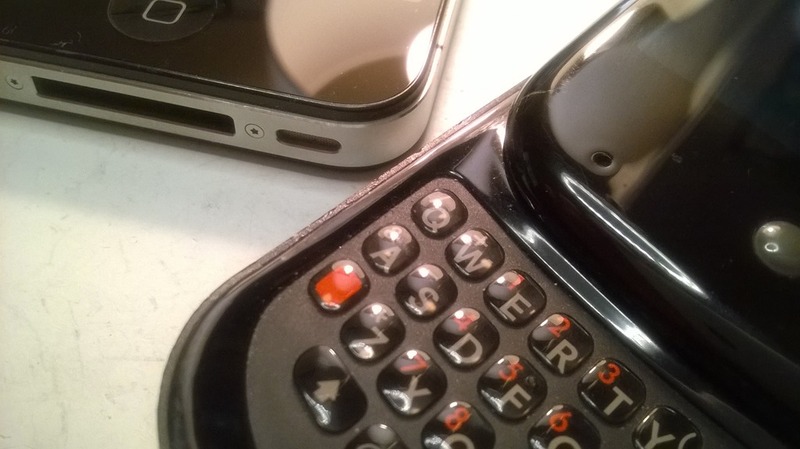 There are other things, like the subtle changes to iOS and to the phone chassis itself. There are things I don’t like, such as the removal of the headphone jack, inability to upgrade storage via SD card, no way to project the phone to another screen (at least, I haven’t seen this) and the lack of home screen tiles…a feature I’ve really grown to love on my Windows Mobile phone. 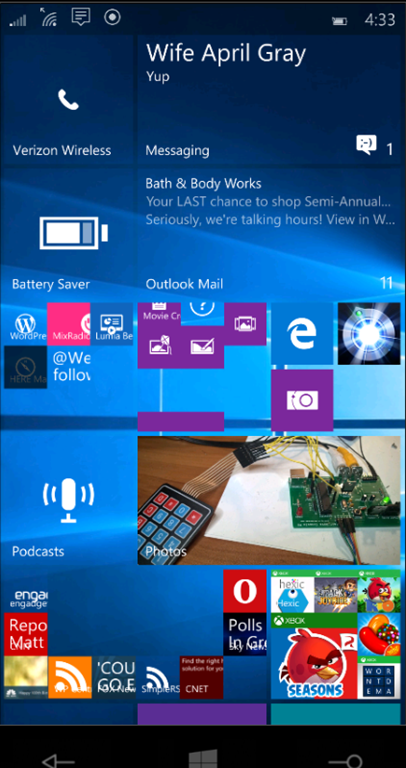 In fact, the lack of live tiles is almost a deal breaker for me. Almost. Since I got my Pebble Classic Smartwatch, I’ve only been able to use a smattering of its features. 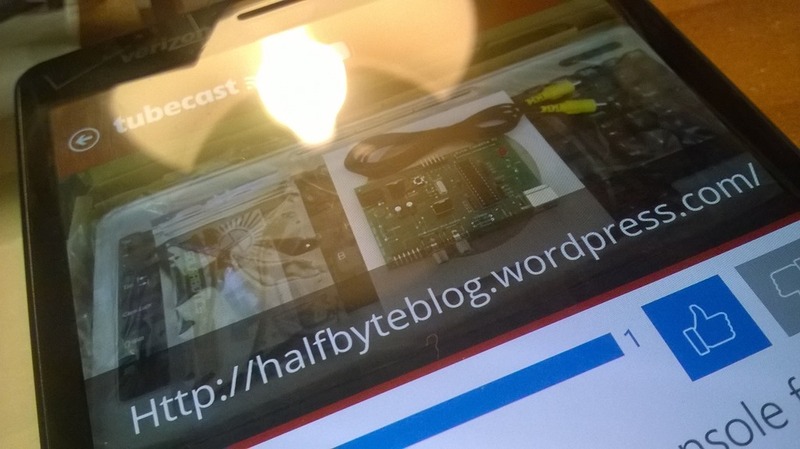 The problem is that Pebble does not and, apparently, will not, support the watch on Windows Mobile. But, as the watch is very open, anyone is free to develop software to run on the watch and companion apps on any platform. So, several enterprising souls did that. The second big issue was that Microsoft closed off parts of Windows Mobile-notifications and running in the background-which pretty much killed most of the functionality. Well, fast forward a year and Microsoft has released Windows Mobile 10 Anniversary Update which fixed these issues. So, there are now two apps that work with the Pebble smartwatch line of wearables: Pebble Time Manager 10 and Pebble Essentials. I downloaded Pebble Time Manager 10 and began using it. For a free app, this thing rocks. I did plunk down a buck to ‘unlock’ the health features and to give the developer SOMETHING for this great product, which is free. Did I mention it is free? Pebble Essentials I have not yet tried out, but will sometime soon. This write up is about the Time Manager. The notifications is huge. Being able to get my phone’s notifications and NOT have to have an app running is tremendous. Previously, you could get Twitter, Weather, email and, maybe Facebook notices but an app had to be running. Since the Windows AU came along, you no longer have to do that. You still run the app, but you can then dismiss it and the notifications keep on going. The other big deal is direct access to the store. 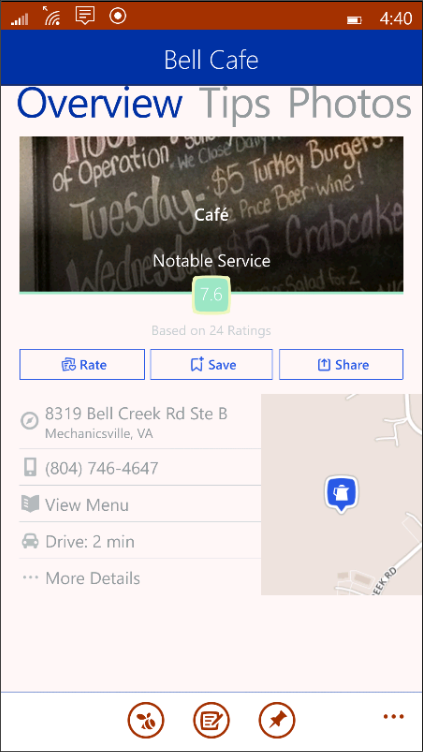 Tap an app or watch face and see everything about. Tap the download icon and download the item to your phone. Tap it on the phone and it is sent to the watch. The app, however, cannot tell you how much space you have, though. Some watch apps require a settings page. Previously, you just took the defaults, but TIme Manager incorporates the ability to access and use these settings. A nice touch. The user interface could use some polish, but it works and is functional, if not a bit bland. It does not have to be pretty, though, because it just works. And works well. All in all, the app is worth much more than the developer charges (which is nothing) and is very easy to use. Stay tuned for more. There are a lot of things it will do and some it won’t. Oh, there’s a desktop version as well. Back in the mid 1980’s, miniaturization and micro electronics were coming into the mass market at prices people could afford. Pocket television, pocketable computers, small calculators and digital watches were common place. Digital Watches, which began as consumer products in the late seventies, were in full swing with watches that mimmicked analog watches, watches that played a game, ‘databank’ watches and calculator watches. 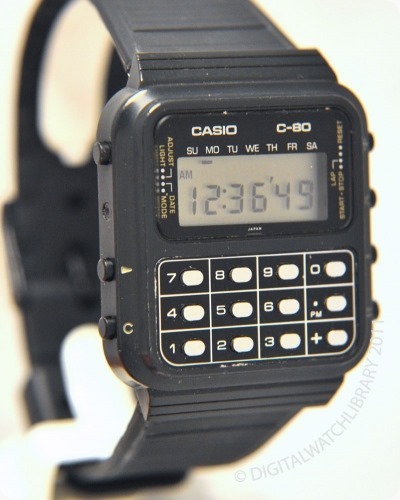 Oh man, the calculator watch. Casio. When they first came out, they were expensive. But, seemingly, overnight, the price plunged and I could afford one. I bought myself a Casio. I don’t remember the model number, but I recall it was sleek, black with white trim and it could store 16 memos or something like that. It was very cool. I had that watch for years. In fact, I had it up until my last move, some five years ago. The case broke right where strap is held in place by the pin. I think I replaced the battery once in the twenty some years I had it. 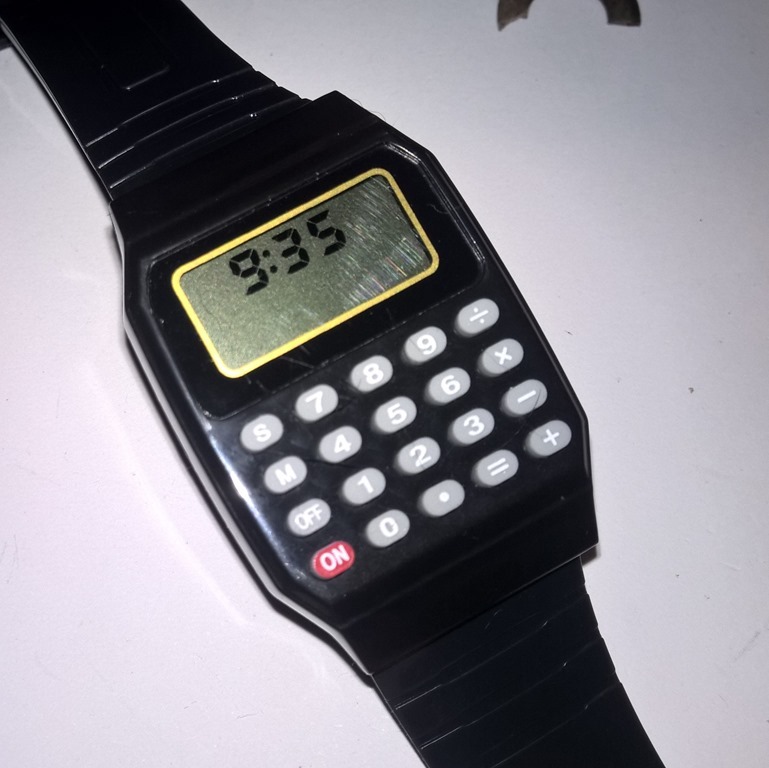 The calculator watch, like most digital watches, faded away. Forgotten. Or, so it seemed. I don’t know if the current ‘smartwatch’ fad has anything to do with it, but I saw them on sale at my local CVS drug store. For five dollars. I had to buy it. Now, this thing is cheap, it looks cheap and feels cheap. But…it’s a bloody CAL-CU-LATOR WATCH! How freaking cool is that?! Is it just me? Anyway, I don’t care how long it lasts, I like it and it took me down memory lane. Best five dollars spent in a long time. It’s that time of year when vacations are starting and you are looking for great places to take your family and relax and have some fun. And, what better places to take them than to the amusement parks, right? Well, sure, but there are new types of amusement parks that do not involve rollercoasters or ferris wheels. First, though, I am going to talk about rollercoasters. BIG ONES, at that. 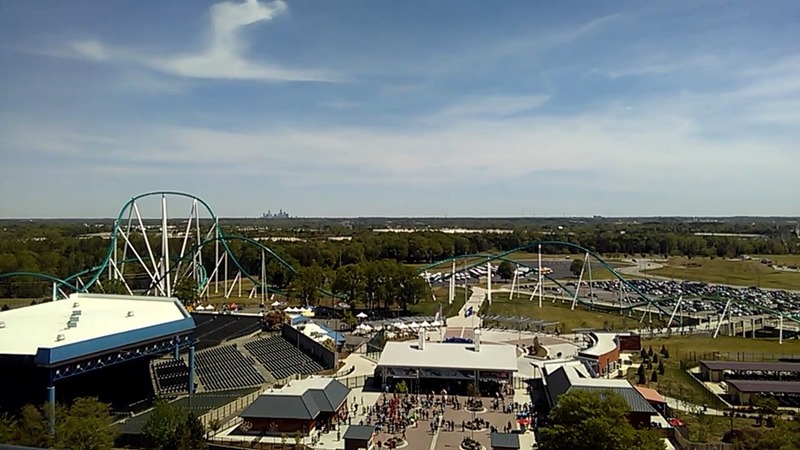 The tallest giga-coaster on the East Coast, and one of the tallest in the country, is called Fury 325 and is located in the very nice Carowinds theme park located near Charlotte, North Carolina. This thing is 325 feet tall, has an 85 degree first drop and is over 6600 feet long. It towers over the park. 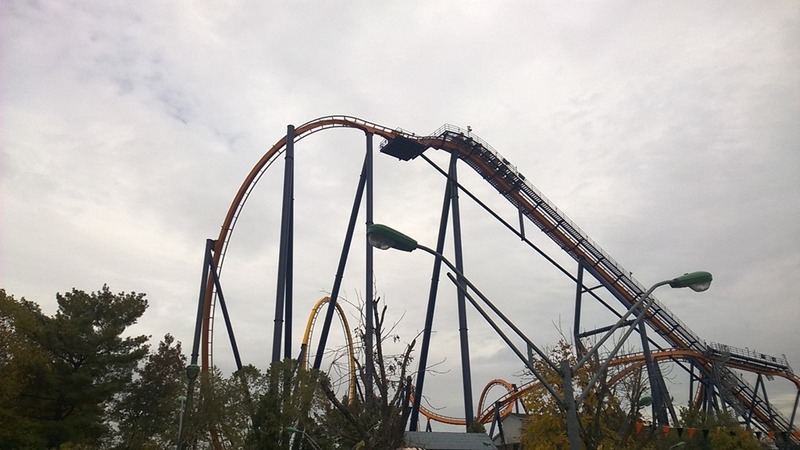 Now, Carowinds isn’t a one trick wonder. No, it also has another tall coaster: the Intimidator. Named after the late, great Dale Earnhardt, this out and back coaster features a first drop of over 200 feet and, prior to Fury 325, was the south easts tallest and fastest roller coaster. Rounding out Carowinds collect are Nighthawk, a coaster where you lay down and Flightdeck, a hanging rollercoaster that is very fast and features many inversions. 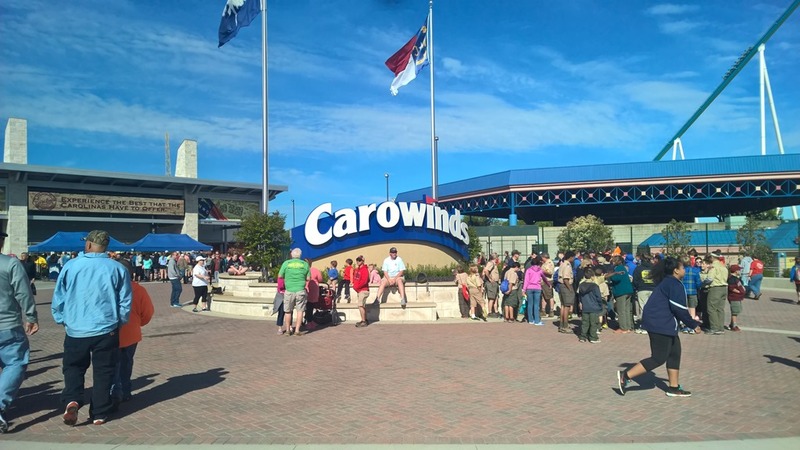 Carowinds is a delightful place to take your family and won’t break the bank. Charlotte is also home to an NFL team and, of course, NASCAR. The NASCAR Hall of Fame is located in downtown Charlotte, just minutes from the theme park. Travelling north, to Virginia, you will find not one, but two world class theme parks, lots of museums, and history, a ton of history from the revolutionary war era, to the Civil War and both World Wars. Starting in Williamsburg, you have Busch Gardens, a true world class park. It’s theming, food, service and, of course, its rides, all make it THE best theme park to visit, period. For its rides, you have Alpengeist, a daring hanging coaster that was the tallest of its type for many years. The Loch Ness Monster, which, when it opened, was the tallest and fastest coaster in the country. Then, there is the Griffon. Griffon takes you up 205 feet, dangles you over the edge and then lets you drop down an almost 90 degree drop. It’s a real heart stopper. Apollo’s Chariot is hypercoaster that will never cease to thrill. Busch Gardens has terrific food as well. Oktoberfest lets you sample German cuisine while Festa Italia gives you a taste of Italy. Down the road from the park you will find Water Country, USA, a huge water park. 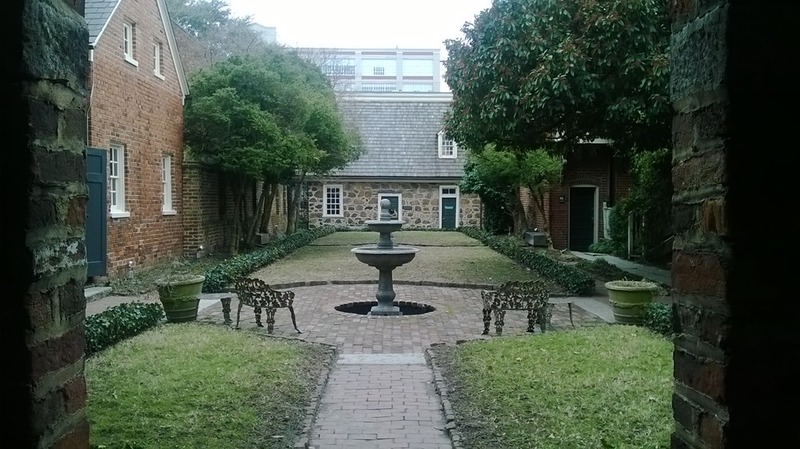 Also in Williamsburg, you will find Colonial Williamsburg for a sampling of life in the 1700’s. There’s also shopping, fine dining and more touristy things to do like the Ripley’s Believe it or Not Odditorium. Finally, there’s mini-golf, go kart parks and the famous Williamsburg Pottery Outlets. Oh, yeah, I’d me remiss if I neglected to mention Great Wolf Lodge. This nice resort features a good sized indoor waterpark, included in the price of your room. And, don’t forget, to the east is Virginia Beach, about a forty minute drive. And Norfolk, which contains even more things to do, including an aquarium and battleship. Virginia Beach also features an even better aquarium that also has zip lines and a rope course. Just north and west of Williamsburg is Richmond. Richmond is rich in history, culture, fine arts and food. Lots of restaurants with everything from soul food, to country food to anything European, Korean, Japanese or Chinese. There’s also a tremendous amount of Thai food restaurants. You name, you can likely find it in Richmond. In addition to shopping and food, you’ll find many art museums, history museums and the Edgar Allen Poe Museum. There’s minor league Baseball, NASCAR twice a year (in April and September) and several short tracks for that weekly dose of speed. There’s adrenaline junky places like Jumpology, a trampoline fun house. Coming soon to the area is an indoor park featuring an American Gladiators type course, several zip lines and rope courses. A few minutes north of Richmond takes you to Virginia’s second world class theme park, Kings Dominion. 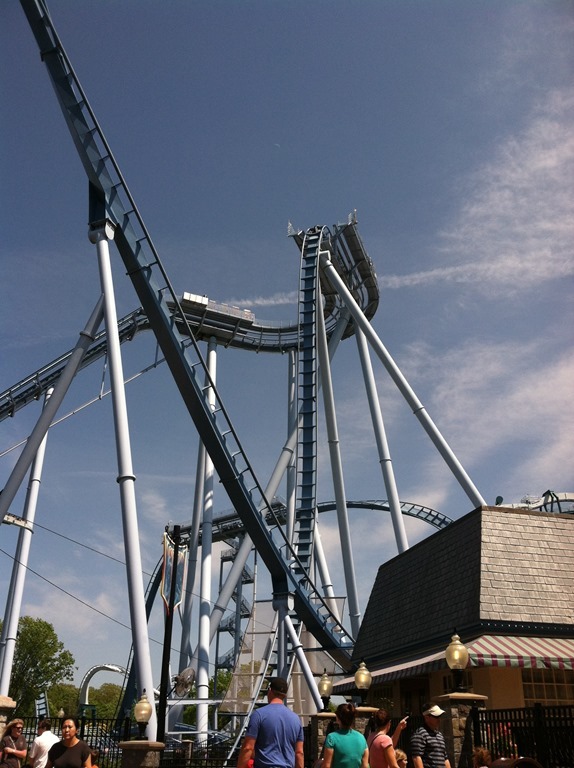 Kings Dominion is a sister park to Carowinds and, as such, contains many of the same types of rides and attractions. It includes a nice collection of rollercoasters, including what was the tallest and fastest giga coaster on the east: Intimidator 305. This 305 foot tall beast, also named for Dale Earnhardt, gives you the feeling of the high banked turns of Talledega and Daytona. The first drop takes you into a sharp right turn that may cause a momentary ‘grey out’ in which you lose vision for a fraction of a second. This is normal and is not harmful, just weird. It is caused by blood flow and is harmless. 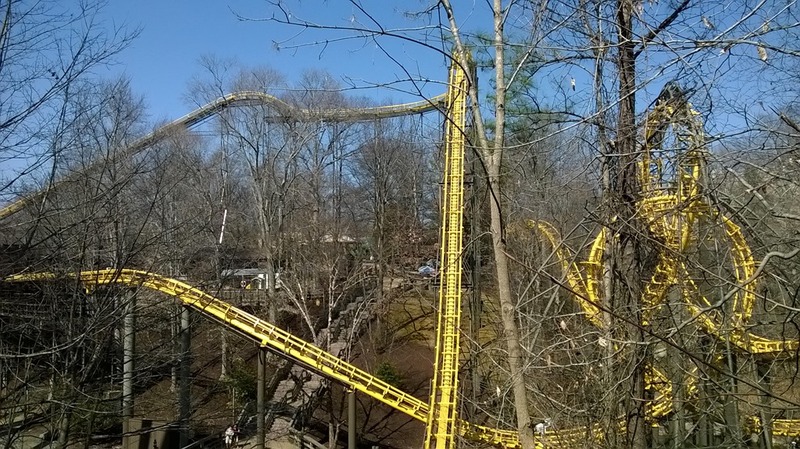 The park also features many ‘launch’ style coasters, where, instead of the train being pulled up a hill and released, linear induction motors propel the train forward at tremendous speed. One of them, the Volcano, shoots you out of the station, around the base of a volcano mountain and then up and through the Volcano itself. Quite thrilling and was my favorite coaster until I rode Fury 325. Kings Dominion also features a nice but small collection of wooden rollercoasters, including the Rebel Yell, which is featured in the motion picture ‘Rollercoaster’. In addition to nice collection of rollercoasters, the park also features shows and a good collection of flat rides including a Ferris Wheel, a Carousel from the 1920’s and a smaller replica of the Eiffel Tower (this one is one third size at 300 feet.) For thrills, there is the 300 foot tall Drop Zone tower and the 305 foot tall Windseeker, a swing that takes you up nearly 300 feet. 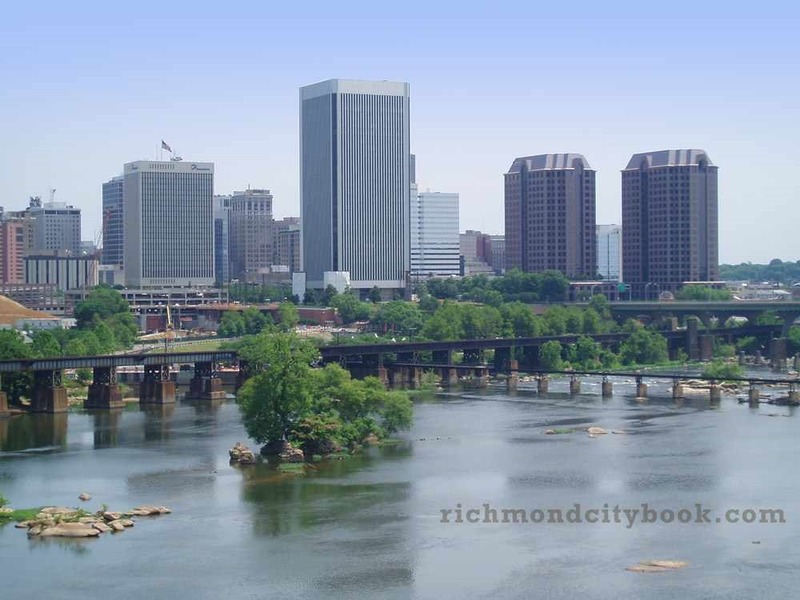 Richmond is nicely located with Washington DC to the north, the beautiful Skyline Drive to the north and west and, of course Williamsburg and Virginia Beach to the east. All of these destinations are within a two hour drive. The Outer Banks of North Carolina are just three hours from Richmond. But, there’s certainly plenty to do in the city and one could spend a week here doing it all. The East Coast from Myrtle Beach, South Carolina all the way up to Ocean City, Maryland (two of my favorite vacation spots as well) offer up a tremendous opportunity for a fun filled vacation pretty much any time of the year (the amusement parks are seasonal, however) and none of it will break the bank either.